" I engaged with acuteFX Design to create 2 logos and a flyer for my business and the result was two fantastic logos and an excellent flyer at a very reasonable price, provided in a very professional manner. Tom worked with me to come to a design that I was totally happy with and I have no hesitation on recommending this company. " " I have been considering a website for some time. acuteFX Design produced what I wanted very efficiently and with helpful ideas as the project progressed. I can recommend especially for anyone thinking about their own new site. " " acuteFX Design took over the handling and control of two of my company's websites that were previously with another company, who were too expensive for the service they provided to me. acuteFX handled the takeover in a very professional manner and got my sites up and running with the minimum of disruption to my business. I fully recommend them to anyone wishing to save money but retain a high level of service. " " We have used acuteFX Design a number of times for various projects, and each and every time they impress. Not only did the they provide excellent support, but they stuck to the agreed timescales on getting the projects completed. " " Really happy with the website that was produced by acuteFX. Communication was very good and easy. Overall, very pleased with the service. " " Tom at acuteFX designed and built my website. He was always available to talk and discuss any issues or alterations and has put together an excellent website at a good price. Its exactly as I wanted it to look but with added hints and tips from an expert. Thanks very much I will certainly recommend you and continue to use your services. " " The website designed was exactly how I had imagined it. The project was completed quickly and professionally and the pricing was impressive in comparison with competitors. If I ever need another website, I know where I'll be going! " " acuteFX Design offer a very professional website service and provides prompt, value for money services. As a leading law firm in the Midlands we are very pleased with their work on developing our new website and would recommend their services. " " Tom Allen, acuteFX Design, was recommended to me by one of our suppliers as someone who could produce what we were looking for in a website. I worked with Tom over a period of seven months to produce a brand new and bespoke website that served the needs of our business better. Throughout this period of time Tom was very professional and would always go the extra mile by meeting any requirements we had. He also worked very quickly to help with other problems we encountered with our old hosting services and email, which at the time were not his responsibility. I would not hesitate to recommend Tom to any other business looking for a great website. " 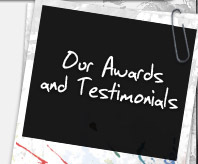 " I have been extremely happy with the service I received from acuteFX Design. They were recommended to me by a colleague to design some business cards for our team. After having dealt with some time-wasters, I was pleasantly surprised to finally find a company who not only delivered when (or before) they promised to, but were also helpful, friendly and efficient. The designs we received were very classy and to an excellent standard. I will definitely be using their services in the future and have no hesitation in recommending them to others. " " We thought that designing and building our website would be a huge task, but Tom at acuteFX made it so simple and helped us every step of the way. He answered all our calls and emails very promptly and answered all of our questions honestly and knowledgeably. We were actually able to go live before the date planned and the finished website is amazing. We have already received fantastic comments about it! "